Crowns, inlays, onlays, and other restorative solutions are a common part of dental care, but many patients simply don’t have the time to accommodate the multiple appointments required to receive them. At MJM Family & Cosmetic Dentistry, our team strongly believes in accommodating patients however we can and not the other way around. With our state-of-the-art CEREC technology, the creation and placement of a custom, high-quality restoration can now be simplified down to one, simple appointment. You’ll walk into our welcoming Fairfax, VA office with a damaged smile and walk out with revitalized teeth you’ll be proud to show off! Contact us today to schedule your first appointment with Dr. Malcolm Murray, or if you have any questions or concerns we can help you with. Patients from Vienna, VA and surrounding areas are always welcomed. Once our team has prepared the tooth or teeth in question for restorative treatment, CEREC starts to lend a helping hand. Dr. Murray will capture digital images and use Computer-Aided Design (CAD) Software to create the ideal restoration before sending off this information to the in-house milling unit. Once the finished product has been crafted, all that’s left to do is make necessary final adjustments to ensure the patient’s full satisfaction and cement it in place. 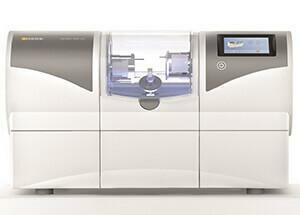 With CEREC, patients don’t have to worry about gagging on messy impression materials. Everything is handled digitally for maximum accuracy and comfort. There’s no need for patients to be fitted for a temporary restoration while waiting on the finished product. Instead, they proceed straight to the finished product for a great, personalized fit. CEREC crowns are all-ceramic and metal-free ensuring optimal cosmetic benefits for patients.